After enabling automatic login, you don’t have to type in your password every time Windows starts up. What if you need to type the password somewhere but you forgot it? Here’s a simple way to recover auto login password in Windows 10, 8 and 7. How to Recover Auto Login Password in Windows 10, 8 and 7? 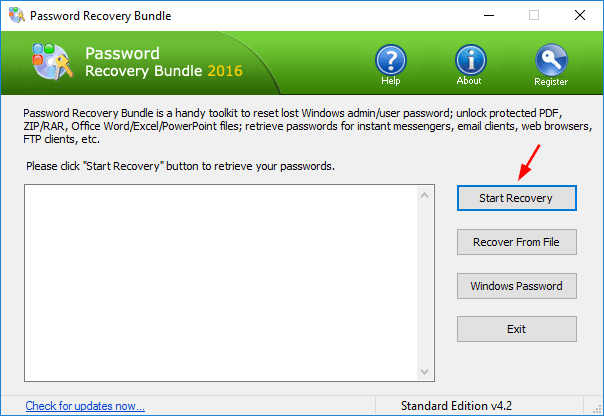 Download and install Password Recovery Bundle on your local computer. After installing, launch the program and click on Start Recovery. Choose Windows Cached Password from the long password list. The program will decrypt and show you the login credentials (Windows account, password) immediately. It’s that simple!